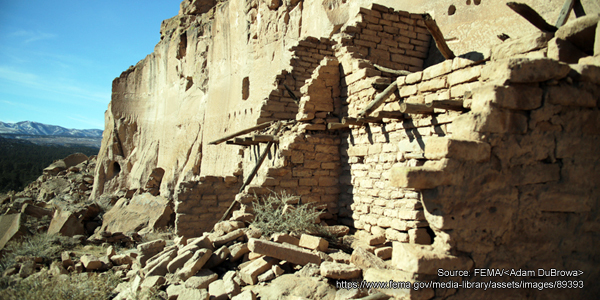 The Santa Clara people came from the Puye Cliff Dwellings about 10 miles away from the current Santa Clara Pueblo. The people lived at Puye for approximately 300 years before giving up the cliff dwellings due to a lack of water in 1550AD. At that time, the Puye community housed up to 1,500 Indians. The Santa Clara Pueblo is the second largest of the Tewa speaking Pueblos. 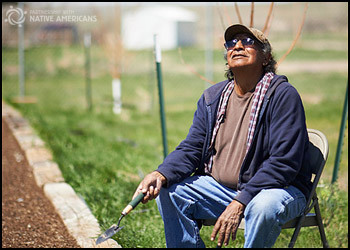 Until recently, the Santa Clara Pueblo relied on agriculture as its economic base. The fertile valley near the Rio Grande River provided them water for irrigation. The Santa Clara people returned to their traditional homeland after the Pueblo Revolt in 1680 but soon returned to the present day pueblo. Today Santa Clara is renowned for its arts, crafts and pottery.